Kitten season is starting, and that means lots of kitties and the rescues that support them will need help. For every one of these bracelets purrchased through the end of April, we will donate 100% of the profits toward cat spay and neuter surgeries. One of our most important missions at CatLadyBox is to help cats in need. With your amazing help, and through special campaigns like this one and our ongoing CatLadyBox Cares program, we donated over $35,000 last year to cat rescue organizations, programs, and shelters! We hope to be able to do even more to help cats this year! 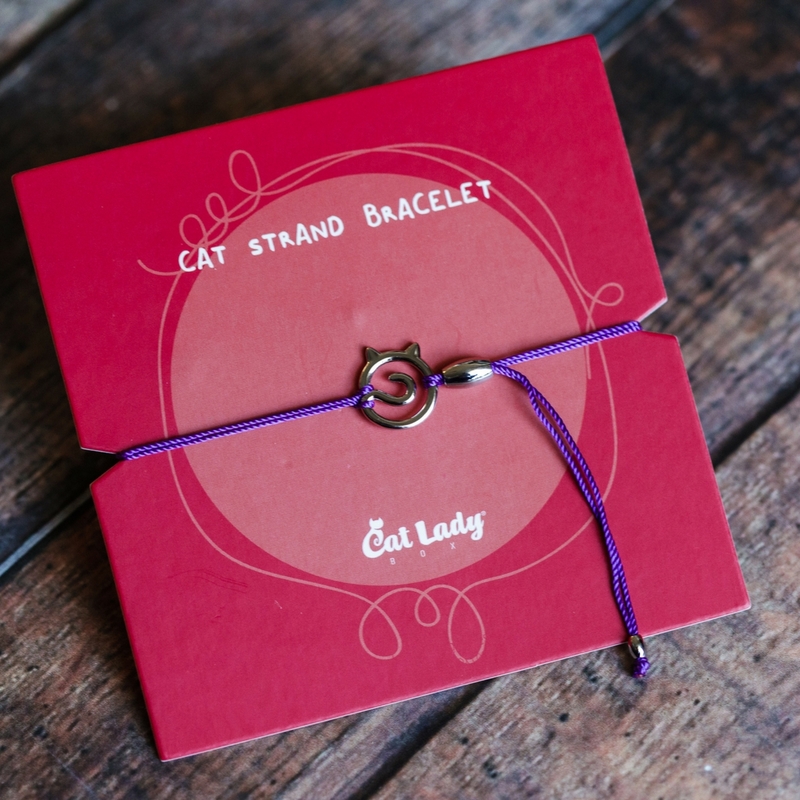 This bracelet is a simple and pretty piece of cat jewelry you can wear every day. 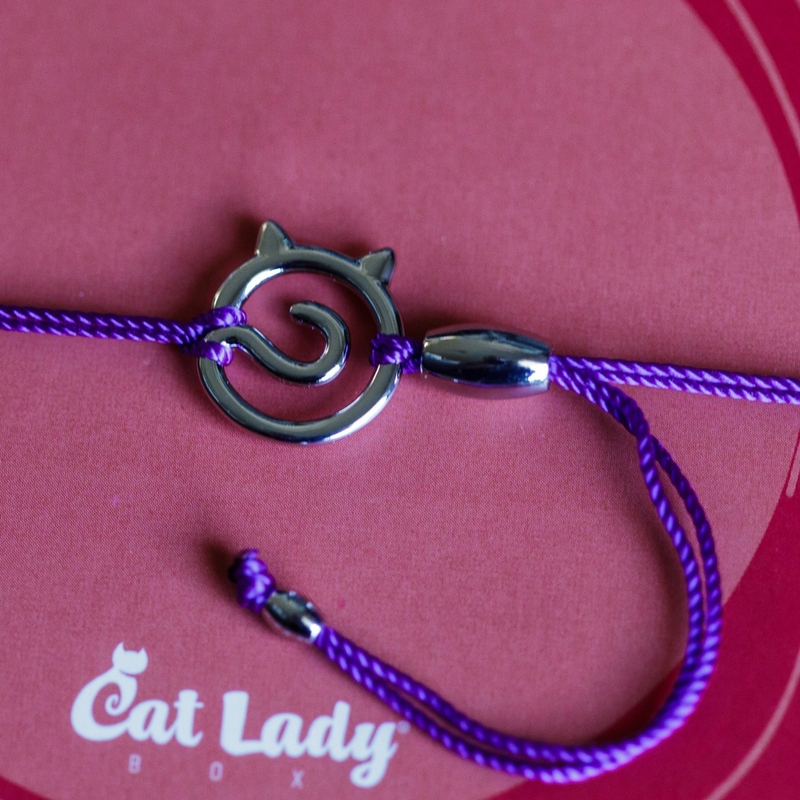 Delicate kitty cat charm with a purple-colored strand cord. Adjustable bracelet to be a purrfect fit for most wrists. Designed and crafted exclusively for CatLadyBox.